Finished in mirror polished 18/10 quality stainless steel. 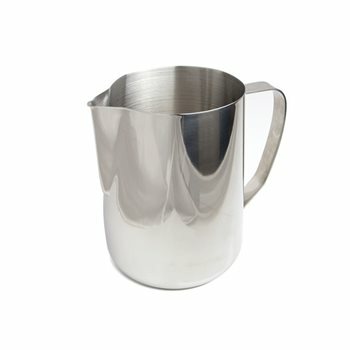 Designed for frothing milk. An absolute necessity if you want to serve smooth silky cappuccinos or to perfect your latté art skills. Really good quality item and service/delivery spot on.